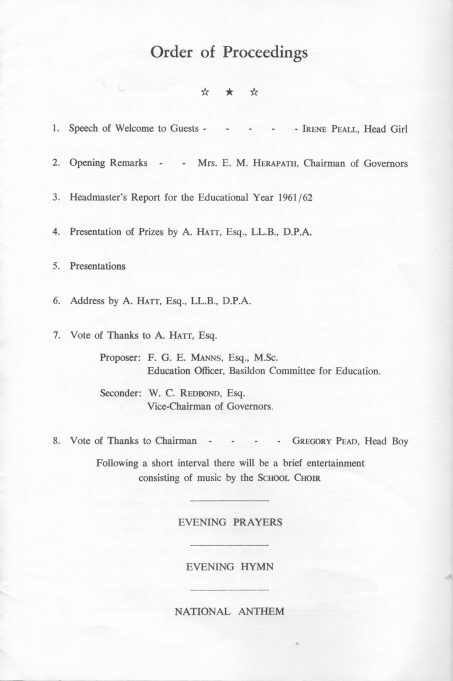 You are here: HomenextNew contributionsnextLHRS Speech Day 1962. I was recently contacted by a former classmate of mine, Arthur Abbot. 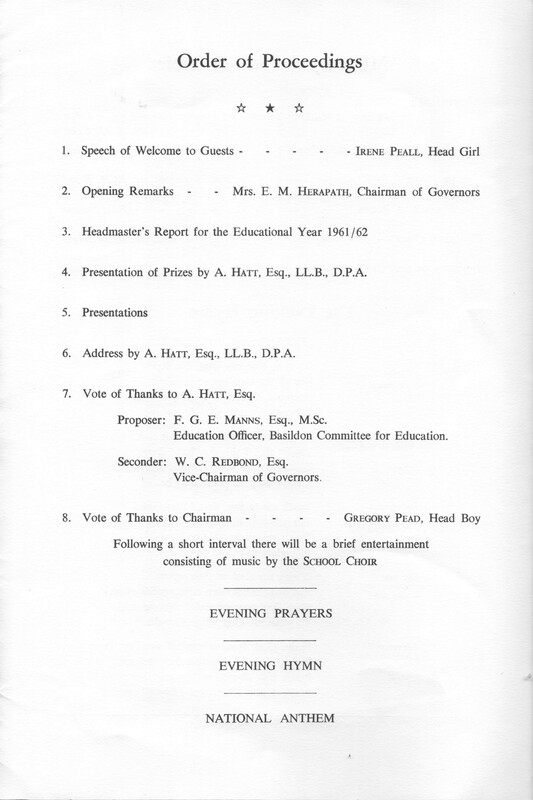 Arthur kindly sent me a copy of the 1962 Laindon High Road School Speech Day programme with the suggestion that I publish it on the website. I was delighted and hope many of our contributors will also enjoy reading it and find it as interesting as I did. Richard. I’m pleased you like the speech day programme. However, unfortunately it’s as good as it gets with the scanned images received. I will contact my classmate and ask if he could re-scan it at a higher resolution and re-send it to me. If he is able to do so, I will make the necessary replacement. Please bear with me. 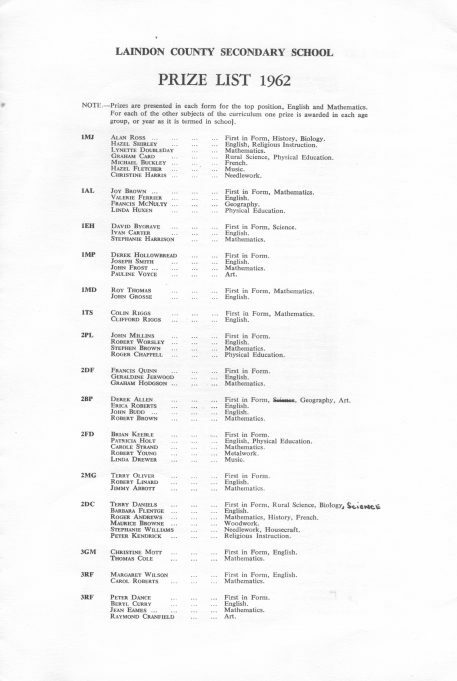 I was surprised to read that Mr Hawkins was appointed in 1949. I thought he joined the school much later than that – I remember you and I having a discussion about that a while back. 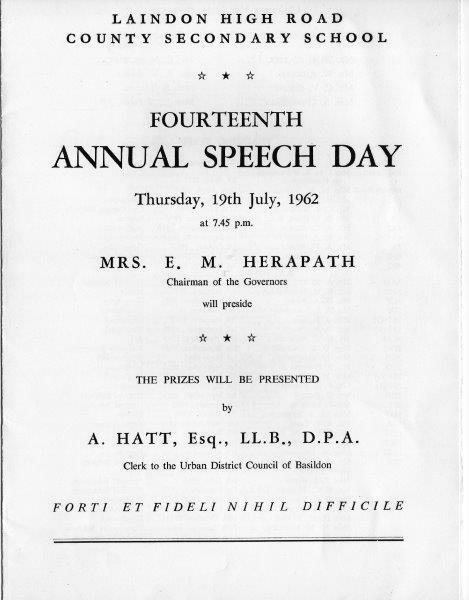 I was also surprised to read that speech day in 1962 took place on my 16th birthday! What a lovely article Nina. I remember a lot of the teachers’ names. I was there 1965-70 and my sister was there from 1963-1967. 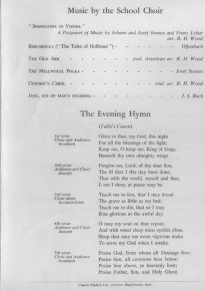 Nina, thanks for adding this LHR speech day programme. What a wonderful thing to have been hidden away. I wondered if you could please re-post it page by page large enough for a 70 year old boy to read. I can see vaguely the names of many of my teachers and friends but not all are entirely clear. I well remember with a little humour, the name of Mr Alma Hatt and how it caused some laughter among us boys. 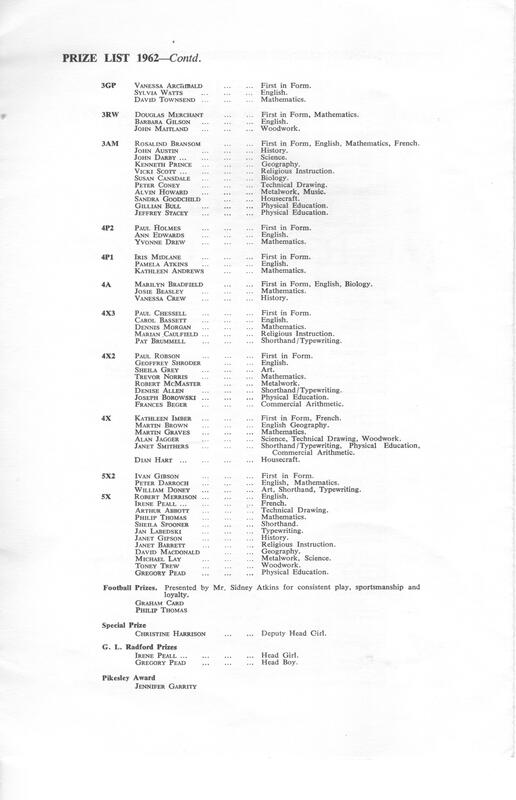 Certainly I was not on the list of award winners on that day but had taken the 3rd year Technical Drawing prize in 1961 with high marks. 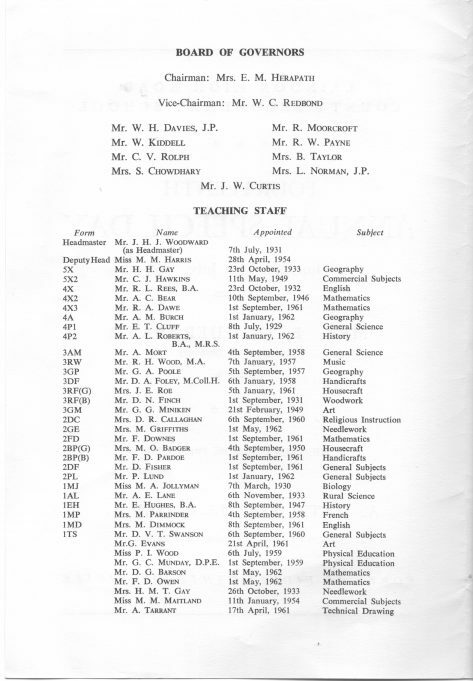 Some early career starts for some of our teachers too with a few mentioned as commencing in the 1930s.